The first ‘C’ is in the 3-‘C’s of Innovative Thinking is Collection. 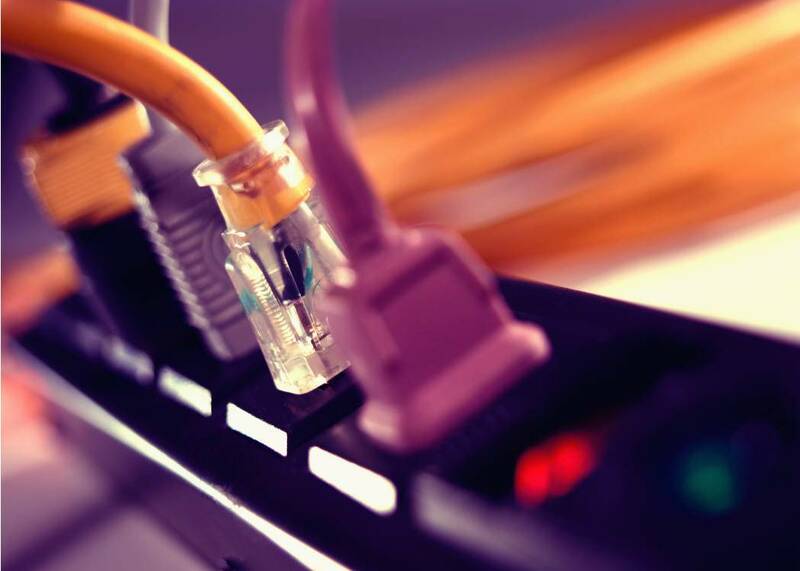 Collection is where you begin to actually Collect information, ideas, concepts, data, images, and pieces to the possible solution to the challenge you are currently faced with. The subconscious then continuously prioritizes and filters out most of the input and serves over to your consciousness only the most important information that you need to live; is that sirens, do you need a drink of water, is something sticking you? You only ‘realize’ a very small portion of the information your subconscious processes, but it’s all in there. By reminding your subconscious that you are looking for a particular solution, you subconscious will recognize possible pieces to the solution an store them for later use. The idea is to utilize the power of you subconscious to gather as much information as possible about your problem or challenge. You need to encourage your subconscious to gather and organize all of this information to be brought to solving your challenge. The way we encourage and organize our subconscious is by using the 5-‘W’s.Do you remember the 5-‘W’s? Well, actually it’s the 5 ‘W’s and an ‘H’, but that’s not as easy to say. Remember back to 5th grade English class? It comes from the newspaper industry. The 5-‘W’s were developed to help out the ‘cub’ reporter the newbie, the green bean to be sure that all of the questions were asked and answered when they interview someone for a news story. If you simply ask the 5-‘W’s, you’ve got everything covered. So we’ll use the 5-‘W’s to be sure we thoroughly understand the challenge and Collect everything we might need to know about solving our challenge. We need to use this 5 ‘W’ formula to be sure we ask all of the necessary questions about our challenge. This will help us determine what information we might need to solve it. Let’s start with the first ‘W’. We will use the example from my web site. The challenge: To stop a garden hose from continuously tangling and knotting up when you’re trying to use it. The “Who”Who does the problem affect? Question: Beside myself, are there any others that are affected and does that require any additional consideration? Answer: Mostly me. No additional consideration necessary. The “What”Determine and identify exactly what the problem is. 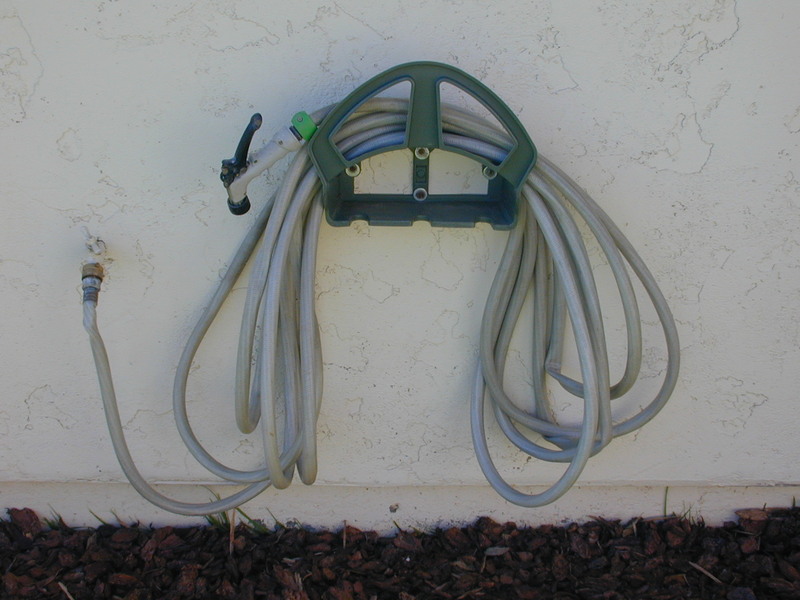 Question: What do we use to store a garden hose on and what causes the tangles it makes when you try to use it. Answer: We all use basically the same type of storage system, a hose holder, hanger, or caddie. And, the problem occurs when we retrieve and use the hose. The “Where”Where does the problem occur. Where are other possible solutions that might either help, cause it not to happen. Or, determine if you have to create the solution from scratch yourself? Question: Where exactly does the hose beging to knot. Answer: It happens at the hose holder. There are many storage solutions available at your home improvement store ranging from $2 for a typical hose hanger to $30 and up for the crank, store, and wheel your hose around product. You could develop, create, design, and build a new solution on your own, but that’s a different type of solution for my other book. Locating all the possible existing solutions is easy, go to your closest home improvement store’s garden center and walk the isles. Hint: The solution isn’t here. That’s why it’s still a problem. Almost always, you have to look into a different industry to find your solution. If your industry had an answer, you would have already known about it. Question: Why does the problem occur? Answer: Every storage solution available today requires that you wrap or spin the hose around the holder. This causes the hose to twist on its radius. 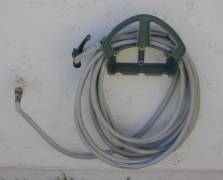 When you take it off the holder, the hose wants to twist back again and causing it to tangle and knot. Question: How do I fix it? The “How” has to be ‘How can I find a solution that is cost effective?’ Many solutions can be prohibitively expensive, technically impossible, too difficult, untimely, immoral, illegal, or maybe all of the above. Answer: How can I stop the trwisting of the hose? Grant it, it doesn’t look quite as attractive as ‘wrapping and twisting’ the hose around the holder, but it won’t snarl up on you so it’s worth the trade off.When we looked at the above problem, it became obvious that storing the hose wasn’t the problem. There are a lot of storage devices available. The problem was how we used the storage device. When we looked at the ‘Why’, we saw that twisting the hose on its radius caused the problem. Like most problems; if it happens when you do something, then stop doing that something. By simply not twisting the hose, we find that we can instead ‘drape’ the hose of the hanger. The hose gets organized and stored, it doesn’t get twisted soit won’t snarl up when you go to use it. The cool thing about Collection part of the process is that when you go through the 5’W’s you can often identify the solution immediately; however, sometimes it can take months to see (or hear) the solution from your subconscious. This is because your subconscious is still in the process of Collecting more and more data necessary to solve your problem.